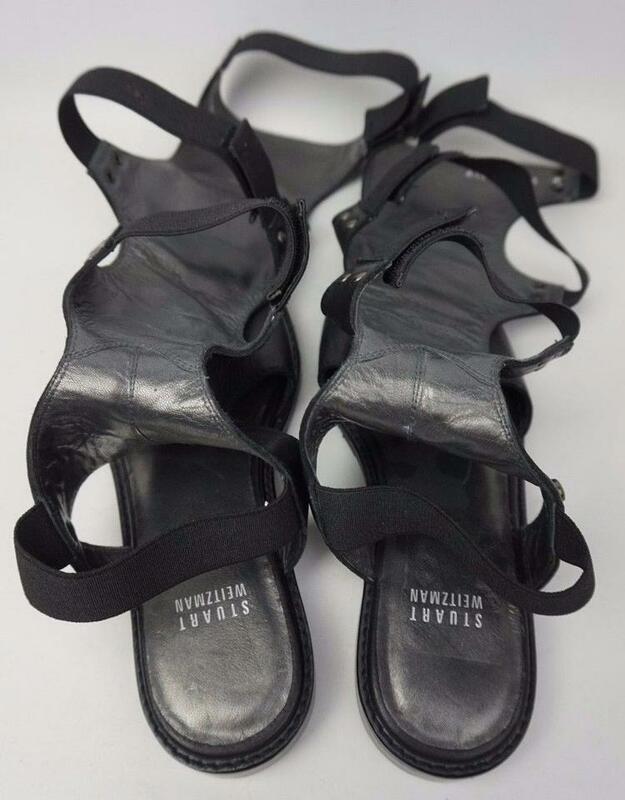 These are black Stuart Weitzman Backview Tall Gladiator Sandals in size 5 M. The insole is 9.5". Bold, curving back cutouts lend contemporary sophistication to a tall sandal that's a chic cross between a boot and a gladiator. 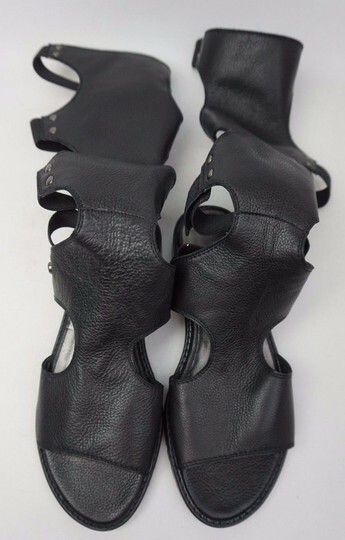 Leather and elastic upper/leather lining/rubber sole. 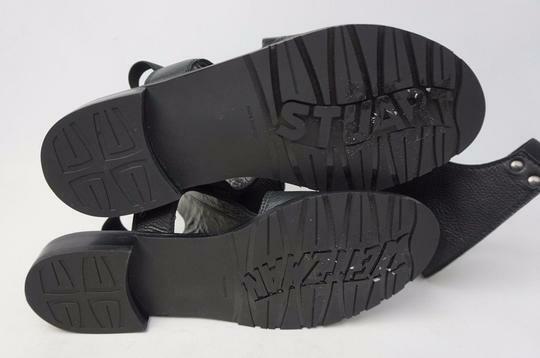 The shoes do not come with the original dustbag or box.